Following the recent Volkswagen scandal, the company is now ready to right its mistakes. Or as the drivers of the company’s “clean diesels” can call it: jackpot. Here are 4 reasons to buy a used VW TDI. The re-released TDI comes with a reduction in the specified EPA vehicle mileage estimates, with a completely new printout of ratings on the window sticker. They are now 29/37/32 mpg (city/highway/combined), down 1 mpg combined and 2 mpg highway from the original EPA estimates of the old version. A number of modifications have also been made on the engine to help in reducing friction and optimizing the fuel economy: the low-friction bearings for the balance shafts as well as the camshaft, and the nature of the oil pump – a two-stage device with a volumetric flow regulation. After the fix in emissions, the peak vehicle torque and horsepower fell just 3.7 percent and 1.7 percent, respectively. Given that the VW TDI is not quick generally, the fix did not affect that. While Volkswagen admits that drivers might experience some minor alterations in the engine torque during the transition between operating modes (for instance, during the regeneration of the particulate filter), they note that there will beno observable difference in performance in daily driving. The re-released TDI remains a steady torque machine, with sufficient low-end oomph capable of overcoming its unresponsive automatic transmission. Volkswagen also admits to a shift in the programming changes after the fix, with slightly higher engine speeds being recorded in the normal mode, and slightly lower speeds in the Sport mode. Just as is the case with the torque, however, there exists no major variance on either front. While a concerted stab on the accelerator pedal is still required in order to induce a downshift, the early torque wave basically means that you can increase the speed even when the transmission is camping out in high gear. And for those of you concerned about the environmental impact of the older TDI, the new fix has you covered. In the new design, Volkswagen had to get rid of the “defeat device” software which was said to affect the TDI emission performance and in its place, installed a software that controls the vehicle’s emission controls thus enabling it to operate effectively in all the normal driving conditions. Basically, the emissions modification will alter the interaction between the vehicle’s engine and emission control systems. This will slightly affect the technical functions under several operating conditions, for instance when the car is started for the day. The modifications on the engine to help in the reduction of emissions include: the complex exhaust system of gas recirculation, the integration of the intercooler and the intake manifold (which also serves to improve the throttle response), and the packaging of the exhaust components very close to the engine. With the re-released VW TDI, consumers get an extended warranty coverage. More specifically, the repair is accompanied with an extended warranty of 10-year/120,000 mile from the original/initial in-service date or 4-year/48,000 mile (whichever comes first) on the complete fuel system, exhaust gas system, the EGR system, the ECU, OBD, TCU, the engine long block, and the turbocharging system. Who wouldn’t want to take advantage of this? 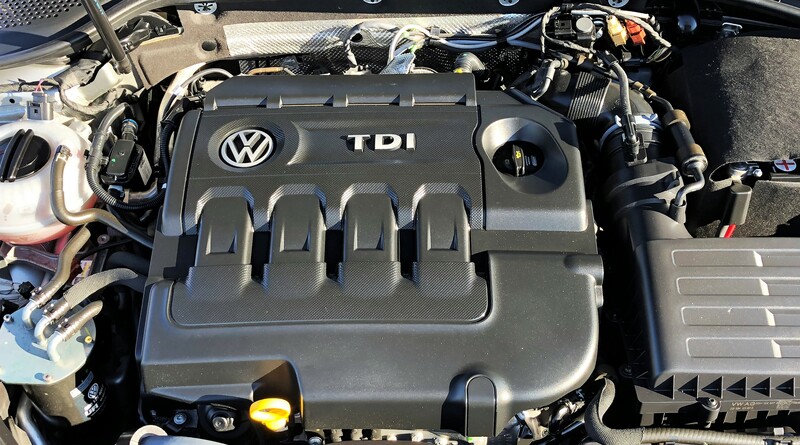 When buying a car, you should reach out to http://www.carspuyallup.com/ To provide you with further insights on buying a used VW Diesel TDI. Contact Puyallup Car and Truck today for huge selection of preowned Volkswagen TDI diesels at low prices . Call the car dealership at (253) 864-3454 to schedule a test drive or visit their website to browse the current inventory Used Volkswagen TDI diesel’s currently over 20 in stock.